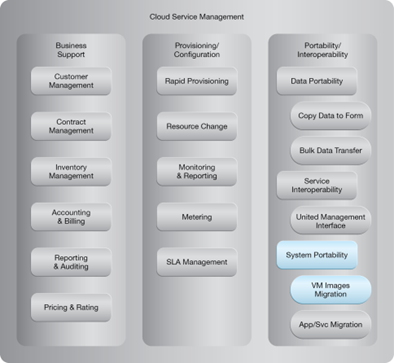 How can a workload be balanced across virtual servers and their physical hosts? 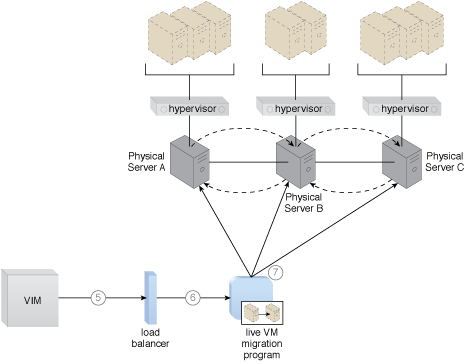 If a runtime workload is improperly distributed across both virtual servers and their physical hosts, then some virtual servers become over-utilized, while others are under-utilized or running idle. The workload is recalculated at runtime and virtual servers are correspondingly moved between hosting physical servers to ensure even distribution across virtual and physical layers. 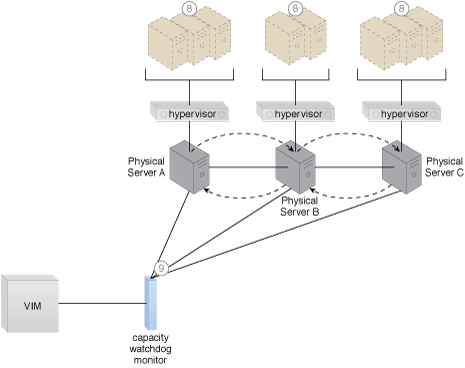 A capacity watchdog surveys physical and virtual servers and reports variance to the VIM, which interacts with a load balancer and live VM migration to dynamically adjust virtual server locations. The virtual server instances are evenly distributed across the physical server hosts. 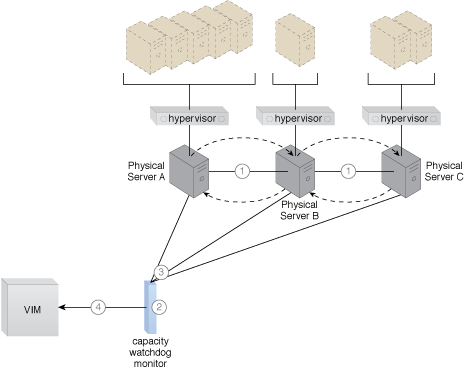 A cloud architecture scenario resulting from the application of the Load Balanced Virtual Server Instances pattern (Part I). 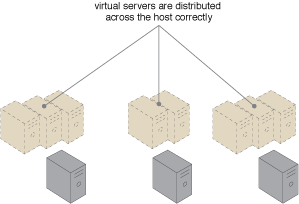 A cloud architecture scenario resulting from the application of the Load Balanced Virtual Server Instances pattern (Part II). 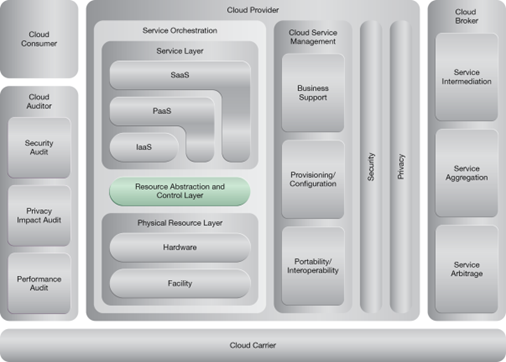 A cloud architecture scenario resulting from the application of the Load Balanced Virtual Server Instances pattern (Part III).